BEIJING (Reuters) - When Chinese car maker Geely bought Volvo 18 months ago, some predicted a government which has made it a priority to buy or build high-end international brands would roll out the red carpet for the country’s first fully-owned premier marquee. Not so. Under Chinese law, Volvo, which is still registered and incorporated in Sweden, is branded a foreign company and gets the same treatment as General Motors (GM.N), Ford Motor Co (F.N) or German luxury car maker Audi. 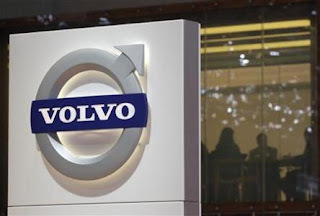 This means Volvo cars are not among those Beijing wants its officials to drive as part of a plan to have government agencies buy locally branded fleets, leaving that $15 billion market to rivals such as FAW and SAIC Motors (600104.SS). But Geely, the parent of Geely Automotive Holdings Ltd (0175.HK), is giving its Swedish brand a Chinese face. Volvo has hired 23-year-old New York Knicks basketball sensation Jeremy Lin to help sell its luxury cars in both China and the United States, the two biggest car markets in the world. Lin has signed a 2-year contract to appear in advertisements and act as brand ambassador for Volvo in an endorsement deal the company said was “another milestone of Volvo’s revival”. The high-profile marketing coup comes as Volvo aims to more than quadruple its sales in China over the next three years, and analysts said Lin’s branding appeal would help accelerate sales among younger Chinese drivers. “For our region, Jeremy Lin is the pride of the whole Chinese population,” Freeman Shen, chairman of Volvo Car China operations said in a statement. China is Volvo’s third-largest market after the United States and Sweden, and the company wants to sell up to 200,000 cars in China by 2015, up from the 47,140 last year. It is targeting global sales of 800,000 cars by 2020. Despite a strong start - Volvo’s China sales jumped 54.4 percent last year - it faces an uphill climb. “Having Lin on board is Volvo’s latest attempt to appeal to a younger generation, especially in China and Asia. Lin is the next Asian basketball superstar after Yao Ming,” said John Zeng, Asia Pacific chief at industry consultancy LMC Automotive. Yao became one of China’s most popular public figures on the back of his exploits as a trailblazer in the National Basketball Association, topping the Forbes China celebrity list for six years for both his influence and earnings, which included lucrative deals with Pepsi, Visa, Apple, McDonalds and Reebok. Lin hit international headlines last month when, in the absence of two star players, he led the Knicks to a string of victories that spawned a glossary of terms such as Linsanity, Lincredible and Linvincible. The fame of the clean-cut Harvard graduate, born to Taiwanese parents and raised in California, spread swiftly to China, the NBA’s biggest market outside North America. Volvo’s regulatory headaches extend beyond the government’s approved-buy list. The brand - acquired from Ford in August 2010 in a deal valued at $1.8 billion - can’t even build its own plant in China due to rules requiring foreign makers to have local partners. Just like Volkswagen (VOWG.DE) and Toyota Motor (7203.T), Volvo was told to find a local partner to build cars under a shared roof. As a result, Volvo is setting up a 50-50 joint venture with its Chinese parent. “To regard Volvo as a pure foreign brand is a bit of a head twister,” said William Russo, an industry veteran who runs auto consultancy Synergistics in Beijing. Under Chinese law, Volvo, which also has the city governments of Shanghai and Daqing among its shareholders, gets the same treatment as foreign-registered companies. Where the firm is incorporated, rather than where its majority shareholders are based is the guiding factor. It’s a problem that MG, the British sports car brand now owned by SAIC, doesn’t have, as MG is completely integrated into its Chinese owner, which, analysts say, dims the brand’s luster among status-conscious customers. “Volvo is indeed a foreign company as it is registered and incorporated in Sweden according to the law, so it doesn’t matter who the owner is,” said Zhengyu Tang, partner and chief representative of Sidley Austin LLP in Shanghai. It’s a legal nicety that doesn’t sit well with Li Shufu, Volvo’s outspoken chairman and the mastermind of the Geely-Volvo takeover. “It’s unfair that Volvo didn’t make it to the government car catalogue,” he told reporters in Beijing, making little effort to hide his disappointment. Jaguar Land Rover is to form a joint venture with China’s Chery Automobile in the UK premium carmaking group’s first foray into manufacturing in the world’s largest car market. Indian-owned JLR and Chery said on Wednesday that they had reached agreement on a proposed joint venture that will build vehicles under the British group’s two brands, as well as those of the joint company itself. The two companies did not disclose financial terms of the deal, which still must be approved by Chinese regulators. China requires foreign carmakers that wish to build vehicles locally to form joint ventures and recently began requiring them to establish local brands. JLR and Chery said they would also establish a research and development facility in China, build engines and sell vehicles produced by the joint venture together. JLR, which makes most of its vehicles at three plants in the UK, is a latecomer to manufacturing in China, where its larger premium competitors Audi, BMW and Mercedes-Benz have built cars with local partners for years and are recording record sales. The two UK brands sold 42,000 cars in China in 2011, a 60 per cent rise on 2010 and equivalent to 17 per cent of the group’s global sales, up from just 1 per cent in 2005. China is the JLR’s third-largest market, after the UK and the US. In a country where large vehicles are popular, Land Rover’s 4x4s are selling particularly well. JLR earlier this month began recruiting 1,000 workers for its plant in Halewood, near Liverpool, that makes the marque’s Evoque and Freelander 2 small sport utility vehicles. JLR already produces the Freelander in its owner Tata Motors’ home country of India, and is looking to expand operations there. Speaking in Geneva earlier this month, Ralf Speth, JLR’s managing director, said that the carmaker was in discussions with several parties in Brazil about launching manufacturing there. Chery, based in Wuhu in China’s Anhui province, is one of the country’s largest privately owned carmakers. It makes cars, SUVs, engines, and transmissions and sold 643,000 vehicles last year, making it China’s sixth-largest carmaker. Most of the country’s big automakers already have at least one JV with a foreign producer, but this will be the first for Chery, which has a reputation in the industry for independence . The Chinese company in 2007 signed a letter of intent to build cars with Italy’s Fiat which was never consummated. In 2009 Chery and Chrysler broke off long-running plans to co-operate on small cars as the US carmaker headed towards a bankruptcy filing. “Chery is an unproven company when it comes to dealing with multinationals,” said Bill Russo, a former Chrysler executive who runs Synergistics, an auto consultancy.